June 2011 ~ I Can Do That! 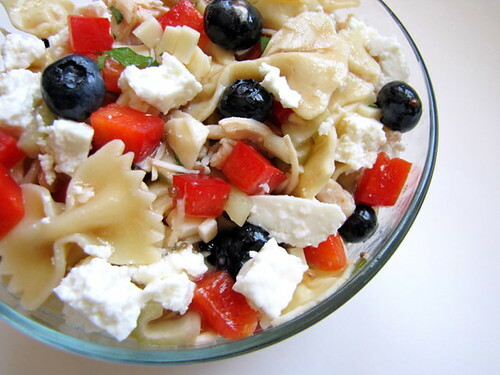 This light and delicious "red, white, and blue" pasta salad which is perfect for the coming 4th of July picnic or meal is a breeze to assemble. I used store bought Italian dressing and canned white chicken breasts which I think is better than homemade because they're soft, juicy, and surprisingly flavorful. 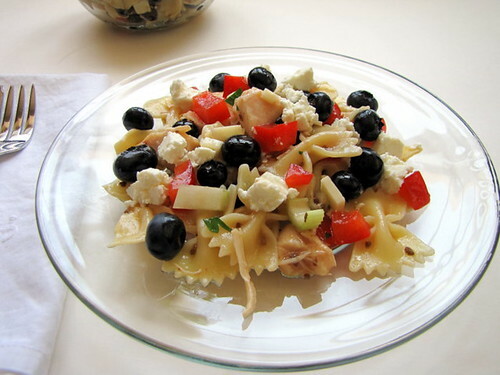 I love the crunch of the red peppers and the blueberries add a bit more sweetness to this refreshing pasta salad. In a large bowl, toss all ingredients except salt and farmer's cheese. Taste and adjust dressing and salt. Chill in the refrigerator for at least 2 hours. Transfer into a serving bowl and garnish top with crumbled farmer's cheese before serving. 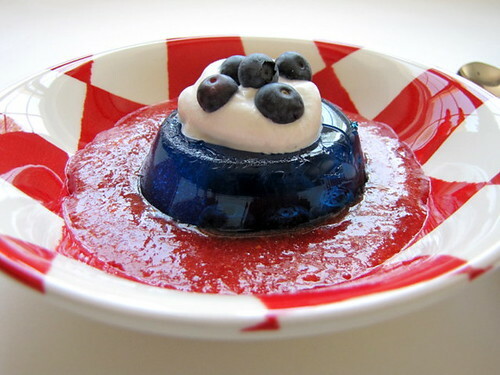 And for dessert, why not blueberry Jello with strawberry sauce, cream, and fresh blueberries? It's easy to make but oh so yummy. Adding in fresh blueberries to the Jello makes it even better. It's that time of the year again when fresh figs are aplenty. I love love love figs...fresh, candied, and even dried ones when enrobed in dark chocolate. Today I made a frangipane and fig tart. 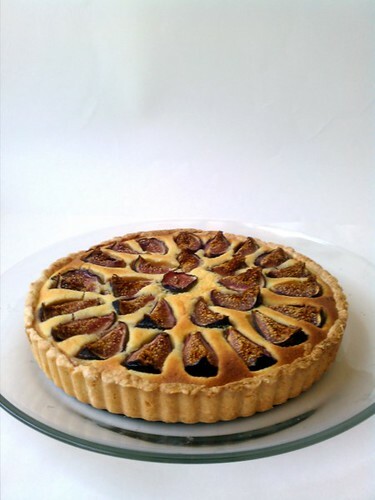 The combination of creamy marzipan and fresh figs is heavenly and the tart is now added to my favorite summer fruit pie and tart recipes. Prepare crust: In a food processor, pulse ingredients until fully combined; it will be soft not crumbly. Press into a tart pan with removable bottom. Chill in the refrigerator while preparing the filling. Prepare the filling: Process ingredients in a food processor and pour into the chilled crust; chill for 2 hours. 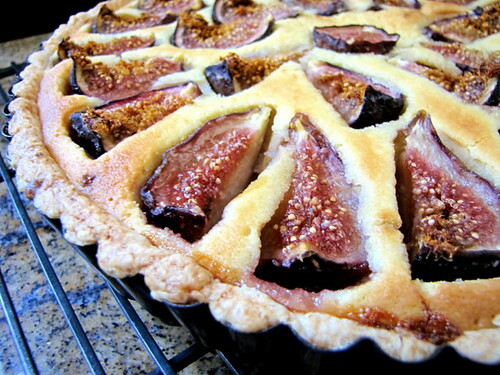 Top the chilled tart with figs and bake for 45 minutes to 1 hour or until edges are golden brown. Cool on a wire rack. Remove from pan and transfer into a serving plate. I never thought I'd see gourmet and tuyo together on a food label which is sort of an oxymoron. 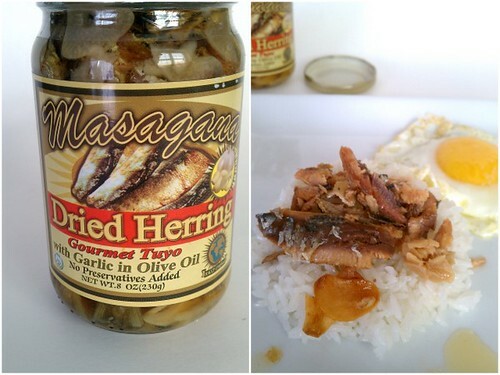 Tuyo is a Filipino heavily salted and dried herring which used to be a poor man's ulam (viand) but apparently Filipinos have converted them into gourmet food, whatever that means. The last time I ate tuyo was when I was still in elementary school, and although I liked them specially with hot pepper and vinegar dipping sauce I haven't had for most of my adult life. They made me want to throw up right after eating, I don't know why. Maybe because the tuyo of yesteryear were processed from not-too-fresh fish. When I saw the jar of gourmet tuyo with garlic and packed in olive oil I just had to get it to find out what's gourmet about it. I was surprised to find I really love it; the familiar tuyo flavor is present without the imagined rotten quality and I now prefer them to Spanish sardines because they're not as fishy tasting as sardines. Indeed they are gourmet tuyo. Adora and Diona, our lovely KCC hosts chose WHITE food theme for this wedding month of June. Lots of ideas came to mind; however, most of them have already been featured on this blog. 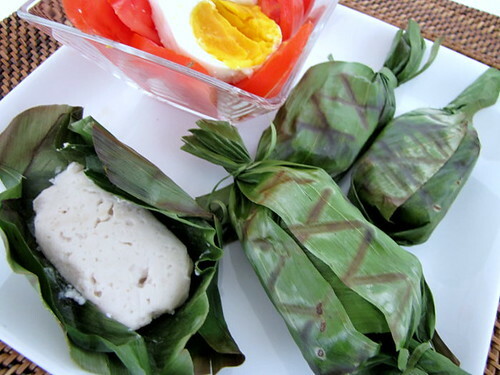 I made fish spread using bangus (milkfish) and coconut milk, wrapped small portions of the fish paste in pieces of banana leaves, and grilled the packets for a few minutes on each side. I got the method of wrapping the fish in banana leaves from the cookbook FLAVOURS OF THE PHILIPPINES by Glenda Rosales-Barretto. 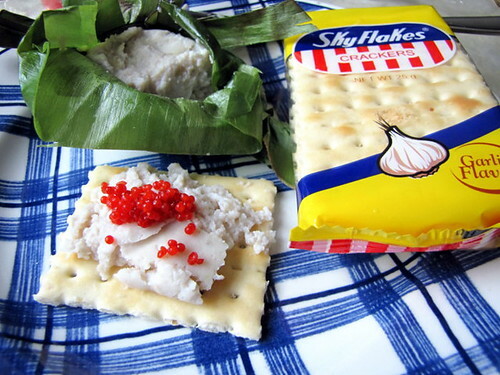 The finished fish spread is delicious served with rice and a few squirts of calamansi or lemon juice, or with salted egg and tomato salad, or as topping for pandesal toast and SkyFlakes crackers. In a food processor, pulse all the ingredients except coconut milk and banana leaves for 30 seconds. Scrape sides with spatula and add coconut milk; process for 1 minute. 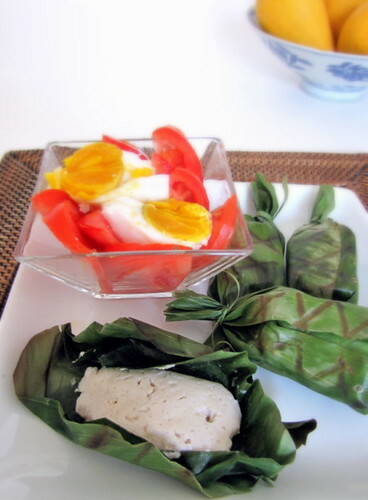 Place about 3 tablespoons of fish paste on a piece of banana leaf, wrap all around. Place the bundle on another piece of banana leaf, fold two sides toward the center and twist the ends like a candy wrapper. Secure with thin pieces of banana leaf or with twine. Grill for 2 minutes on each side. Serve warm or at room temperature. Enjoy more KCC white food here. Mango and sago pairing has become a summer favorite, this time in a refreshing iced mango tea drink with whole milk, golden raw sugar, and crushed iced. I scraped the mango into "noodles" using a melon scraper and boiled regular size tapioca pearls because I love to chew on those. 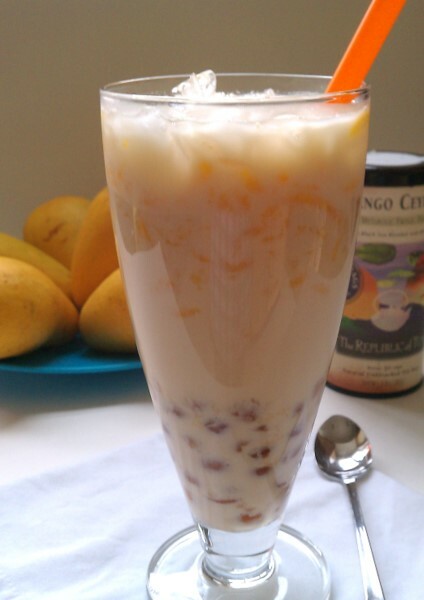 For a large 12-ounce glass I used 2 mango flavored black tea bags, ½ mango, ½ cup cold whole milk, 2 tablespoons raw sugar, 2 tablespoons cooked sago, and crushed ice. I love it. Next time I'll add the pair to pandan tea and mint. I prepared 3 kinds of potato salad, and I think they could be considered healthy because I don't load them with a lot of dressing or salt. 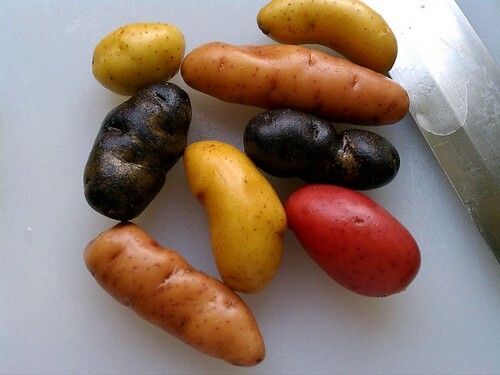 In a large bowl, toss potatoes, 2 tablespoons olive oil, garlic clove, and salt. Roast in a 400°F oven until lightly browned, about 30 to 35 minutes. Remove garlic after 20 minutes. 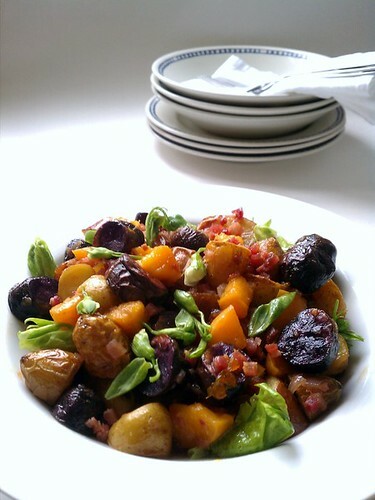 While potatoes are roasting, cook pancetta in a skillet until brownish; transfer into a small bowl and set aside; remove all but 1 tablespoon of the rendered fat in the skillet. Stir fry the shallots in the same skillet until soft. Transfer to a small bowl. Whisk together the vinegar, half a teaspoon of sea salt, and jam. Remove peel and mash the garlic and add to the vinegar mixture together with the shallots. 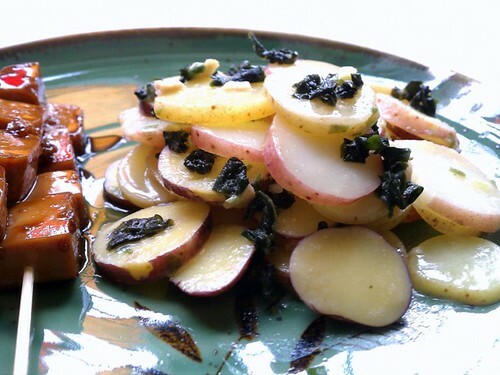 Toss the still warm potatoes and pancetta in the vinegar dressing, taste, and adjust seasoning. Leave for 30 minutes at room temperature or 2 hours in the refrigerator if preferred chilled. Gently toss in diced apricot and pea shoots just before serving. Place water and 1 teaspoon salt in a medium pan. Add the potatoes, let come to a boil and cook potatoes until tender, about 12 minutes. Using a wire scoop or sieve, scoop out the potatoes and plunge into the ice water; leave in ice water to cool completely for 1 minute. Drain well. Mix lemon juice, oil, miso, nori, and scallions. Add potatoes and gently toss. Serve immediately or chill for 1 hour, if preferred. Boil unpeeled potatoes until tender, about 15 to 18 minutes. Cool slightly then peel off the skin. 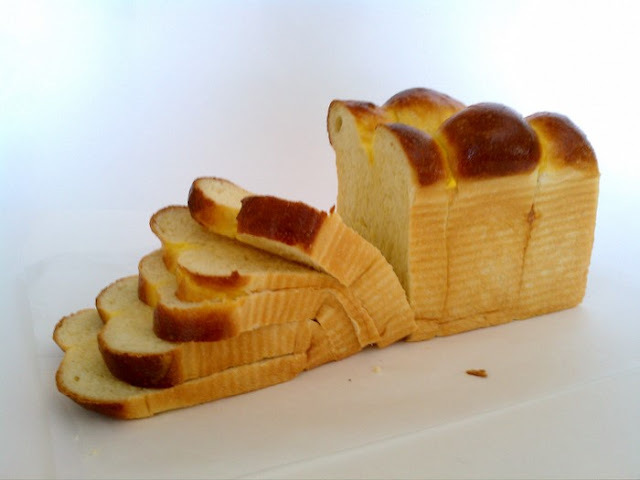 Cut crosswise into ¼-inch thick slices. Place in a shallow container. Drizzle all over with vinegar and sprinkle with salt. Toss gently and leave for a few minutes to cool to room temperature. Separate the yolk from the white. Finely chop the egg white and add to the cooled potatoes. 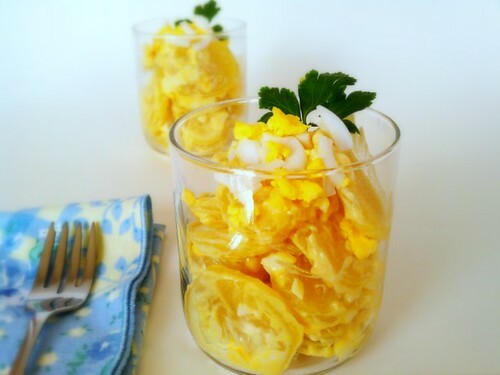 Mash the egg yolk with a fork and blend with the mayonnaise and mustard. Gently mix dressing and potato mixture. Chill in the refrigerator or serve immediately topped with slivers of egg white and crumbled egg yolk. 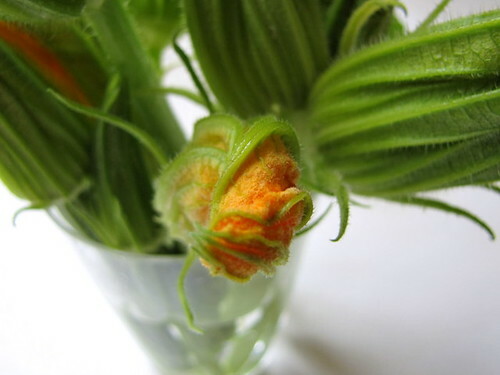 I grew up eating plenty of vegetables and one of my favorites was steamed squash blossoms. We never had them stuffed nor deep-fried; we cooked them by putting on top of freshly cooked rice and left to wilt and soften for a few minutes. They were simply served with sea salt and lemon juice (calamansi). I planted a few seeds of fiori di zucca bought from an online seed company, the catalog promises the plants will yield mostly flowers and few tiny/baby fruits. Indeed the plants have lots and lots of bright orange blossoms and one or two tender tasty sweet fruits. I chopped the fruits and sauteed them with the blossoms, shallots, and baby Swiss chards and used it to fill savory crêpes for a light but delicious and satisfying summer lunch dish. I love the Parmesan cheese crust and the crispy edges but tender on the inside pancakes. The mild flavors of the vegetables and Provolone go perfectly well with the small amount of Parmesan cheese. Blend ingredients in a blender and let rest on the kitchen counter or refrigerator for 1 hour. Heat a nonstick skillet over medium-low heat; brush lightly with light olive oil. Stir batter and pour about 2½ tablespoons, swirling to coat the skillet evenly. Cook until edges come off the skillet, then flip and cook for another 30 seconds. Remove to a plate and continue with the rest of the batter. Reserve 4 blossoms cut in half lengthwise for garnish; cut remaining blossoms into 4 pieces; set aside. Heat butter in a skillet and saute shallots until soft, about 2 minutes. Add baby zucchini and saute for 2 minutes; add blossoms and Swiss chard, if using, and saute for 2 minutes. Turn heat off and mix in ¼ cup Parmesan cheese. 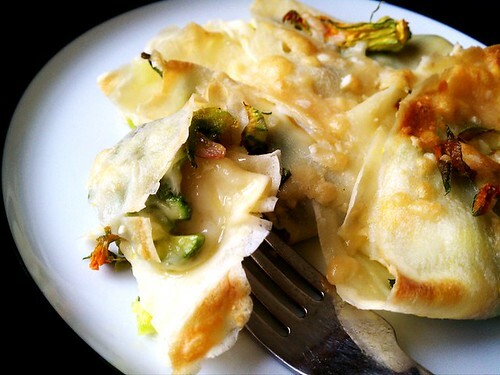 Fill crêpes: Place 2 tablespoons of grated Provolone on one half of each crepe, top with 2 tablespoons of sauteed vegetables, fold over in half and fold one more time. Repeat with the rest of ingredients. Place filled crêpes on an oven-proof dish, slightly overlapping. Sprinkle top of each with half a tablespoon of Parmesan cheese and press one blossom half on top. 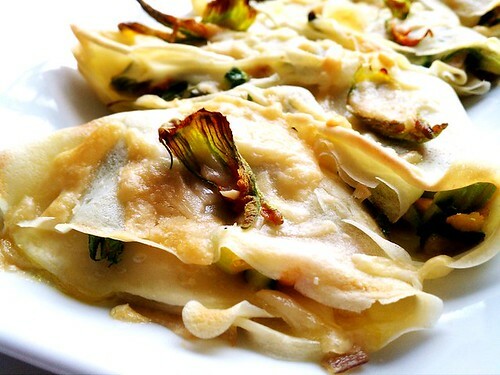 Place under the broiler until Parmesan is golden brown and edges of crêpes are crispy. After shaping 2 large ensaimadas filled with ube jam, I realized I had to attend to a lot of stuff around the house, make tons of phone calls, and do errands. To save time I formed the rest of the dough into eight 2½-ounce rounds and placed them in a 9 x 4 x 4-inch loaf pan a la Brioche Nanterre. The baked ensaimada loaf is just as pillowy soft as regular ensaimada. I made the slices extra thick; so good with lots of butter, sugar, and grated cheese, and of course ube jam. The recipe for ensaimada is here.